This durable, high-quality laptop protector fits almost any standard laptop (except for keyboards with number pads) to provide protection from dust, moisture, sand, spills, and other contaminants. It can be easily put in place and removed and will not damage the laptop. 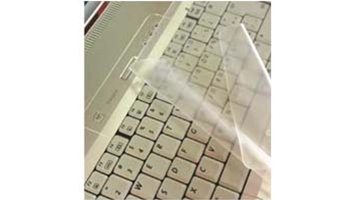 It does not interfere with typing and can be left in place when the lid is closed to provide continuous protection.